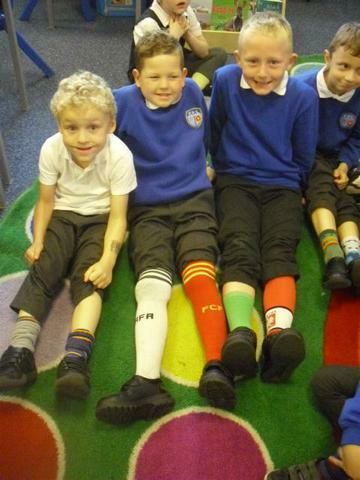 Also well done to Mr Lacey and Mr Gallagher who won our staff certificates for their socks! Our album 'WHO INVITED THIS LOT?' is out now! You can buy it here https://AndyAndTheOddSocks.lnk.to/WITL So here is our first official video guys. A big thank you to all the children, mums and dads for helping us make the video. You were all amazing. It is important to remember that if we are online, using an app or a game we are keeping safe. SID has 4 top tips to help you learn how to stay safe online, can you remember them all? Stay SMART! Follow this advice to keep safe! 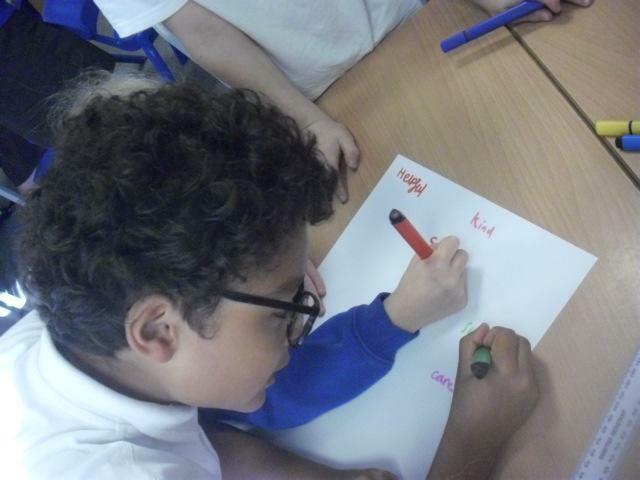 Brandon explained how he shares ideas with friends and the school council to enable their ideas to have an impact. Justina explained how Going to be Gold was a rewarding behaviour system. Justina wasn't a pupil when we had Good to be Green however she was keen to tell me about the benefits of Going for Gold and how she liked it. What do our school council think of our 'Going for Gold' rewards system? Once again we turned to our school council for their voice on our new reward system in school. 100% of children from the school council agreed the new reward system was better than the old 'Good to be Green'. 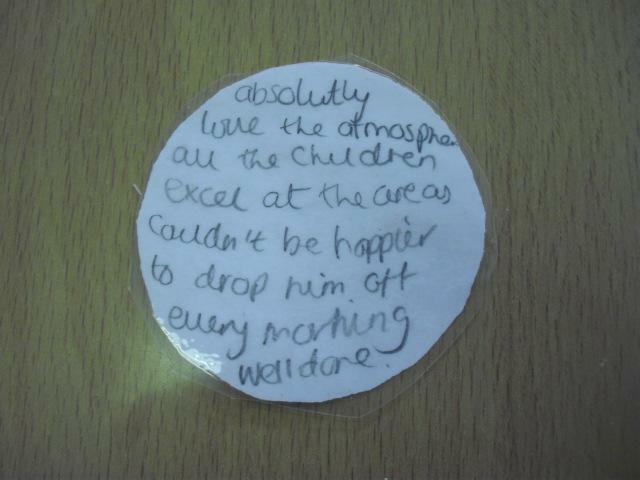 100% of children said that the new system 'definitely' improves behaviour in school. Thank you to Mrs Barford and the School council for putting forward the voice of the children in school. Your opinion matters! ASPIRE have enabled children in school to make progress in school and overcome challenges by teaching strategies to manage emotion and form relationships. Well done to all children involved and thank you to parents for your continued support. This term we set KS2 a challenge to be super movers. We did a class vote and asked the children for their opinion on PA inbetween lessons in KS2. Every class nominated a monitor who recorded how active the class were in between lessons. We asked every child what super moves they could do and compiled a list of suggestions. The response was fantastic and the children thrived on the challenge. Here is what they thought about being a super mover..
Well done to 4G who won the class award for being the best super movers in KS2! Furthermore listening to our children's voice supported our decision to run a mile a day. Well done everyone! We love keeping healthy! Take a peek at our photographs and read what the new reception class think of stay and play! Here is what our new reception class thought of our first class stay and play session. The children wrote on leaves for our class hopes and wishes tree alongside completing dinosaur themed activities. 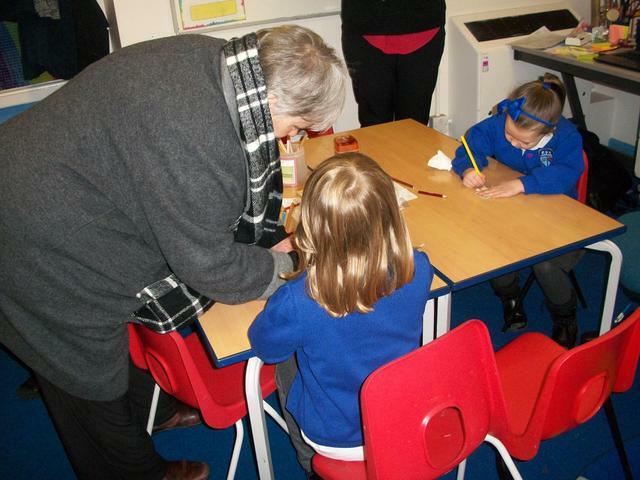 The children all enjoyed sharing their classroom and they all grew in confidence from sharing their skills to family. Dexter - "I'm making a leaf. I felt happy. I showed him the computer. I saw some ice, we played with it (outside)." JJ - "I'm on the computer with mummy and daddy. I felt good, can you see me? I showed them how to write my name and I drew on a leaf." Jamie - "I'm drawing with mummy. My mummy write everything! I felt happy. I showed her loads of stuff!" Alana - "I'm with mummy. I was going to play with mummy with my book. Miss Tann took a picture. She loves it (learning journey). Then mummy counted the numbers with me and I wrote my name on the leaf." Jack-John - "I'm drawing a dinosaur with Auntie Jackie. She read a book to me, it felt good." Ruby - "I'm measuring the bones with daddy. It was good because he did it wrong so I did it right. I made one of the dinosaurs on the creative table and daddy did one too." Lottie - "I'm playing with my dad. It was about dinosaurs (the book). The dinosaurs were roaring. I was happy. I made a card for my sister Evie. I showed daddy the books." Alexa - "I were making a tree with my grandma. I showed her what to do. I showed her the reading area. I was happy." This week we celebrated as a school how every one is the same yet different. Every class participated in the weeks focus. Every child in school decorated a leaf representing the ethos and values of our school through celebrating our similarities and differences. Together we stand united against bullying. Have a look at our beautiful tree situated in the ICT suite. Parents and families come on in! 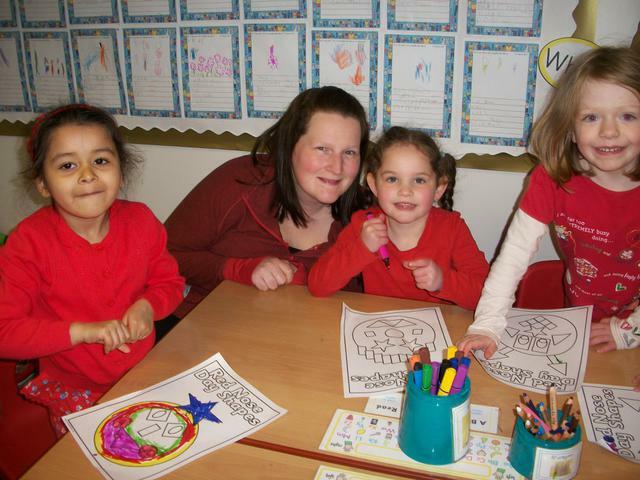 Across school we are proud to welcome parents and families in to take part in our on going activities. In reception we have termly stay and play sessions. Please see our noticeboard for more information. We love stay and play! Lily-Rose Flanagan (written by mummy) - "I enjoyed seeing how my daughter's day went in school, looking at her work and talking with the teachers. She loved showing me around and was very proud of her work. The sessions gave her a sense of pride and I understand the way teachers needed my support at home with homework." Kai Palmer (written by mummy) - It is good to be able to see what sort of activities your child does when they are at school. 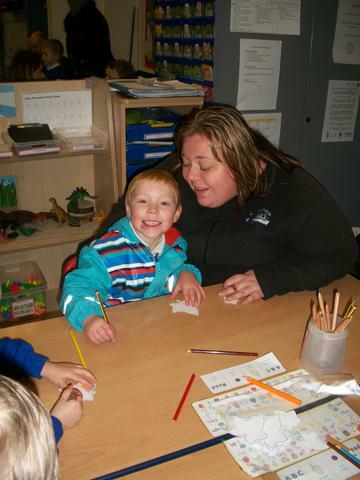 Kai loved the fact he could show me around his class and that we could do drawing and playing together. It gives parents a chance to see what sort of topic they do and how that could be more help at home. It gave the children more confidence." 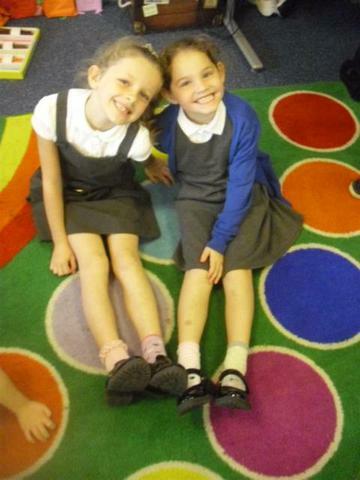 Lucy Carter (written by mummy) - "It was good to see what she is enjoying at school. She was showing me around her classroom, she was very happy I could come. 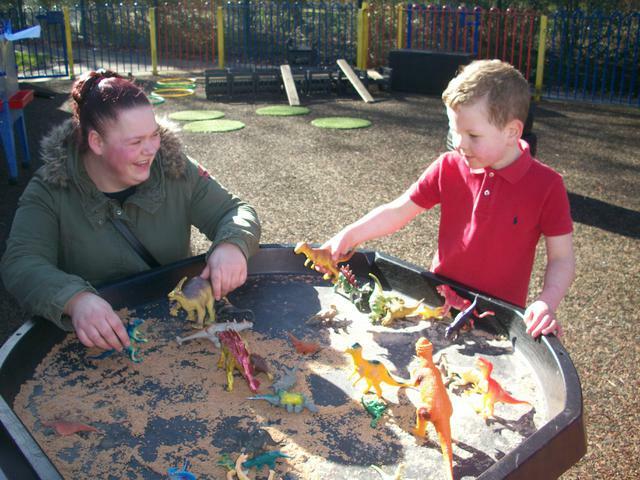 I believe the stay and play sessions were beneficial to Lucy's learning and development." Larissa Brogden (written by mummy) - "Getting to see Larissa enjoying what she does and showing me her things is great to see. She loved showing me things she had made and can do. It was a good experience for her to show what she had done and things she can do." Lawsen Sutton (written by mummy) - "I enjoyed Lawsen interacting and showing me what he can do. He loved showing me around play areas and his friends. It made him more confident especially knowing I was playing along with him." Our learning mentor Mrs Hope arranges regular drop in sessions to support parents and families. This year we welcomed Blossom Tree services into school. Please take a peek at our amazing Emotional Health and Well-being displays. Reception were proud to welcome parents into school on Friday 26th May to celebrate their learning and host a coffee morning. They used their knowledge of money learnt that very week! Children bought and sold homemade biscuits, cakes and worry dolls. Our worry dolls were a key theme to Emotional Health and Well-being week and reflected how important it is to share emotions. As a class we decided to donate our proceeds to 'Millie's Trust' and we have now paid for one parent to be trained in first aid. Thank you to all who supported us, it was wonderful as always to see you in school. Across school we talked about our Emotional Health and Well-being. This included sharing how we feel, who we can talk to and how our approach to learning can have an impact on our health. As a school we continue to challenge ourselves therefore having a growth mindset is vital to our perseverance, resilience and progression. To celebrate our unity in this subject our displays around school will mirror this theme. Remember to take a look at, pictures are soon to follow! Well done to children in 4G who have been recording acts of kindness! Here are a few examples of what the children have written. Thank you to the NSPCC who came into school this week to talk about being Share Aware. All children enjoyed assemblies and understand who to talk to if necessary. 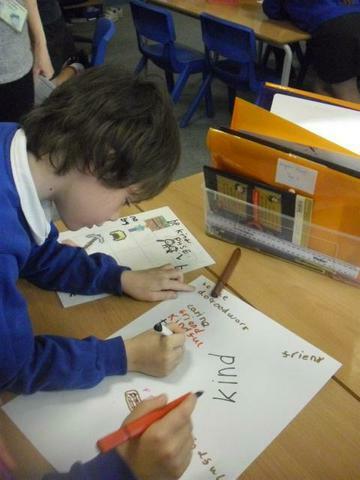 The NSPCC also did workshops with 5C, 5/6B and 5/6K. Thank you to Young Carers who chatted to us about what they do and their services in an assembly this week. It was great to have you in school. If you would like more information on the support they can offer to our children and families please follow the link below. 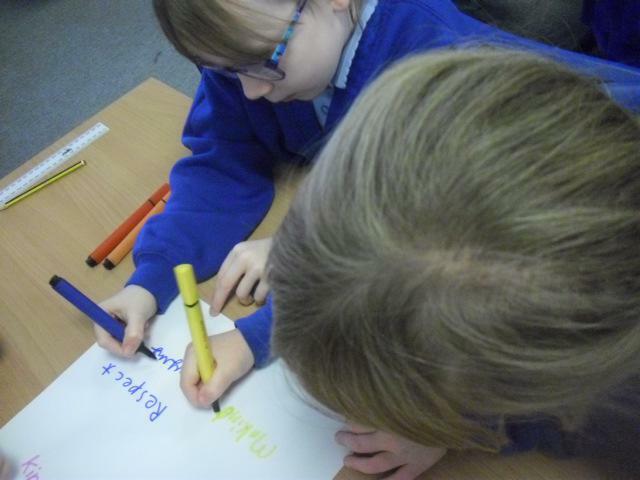 The Emotional Health and Well-being of staff and pupils is central to Padiham Primary's ethos. On the 22nd May we will be focusing on Emotional Health and Well-being across school. We will be looking at growth mindset, discussing who we can talk to and sharing ways we can find support. Reception had a wonderful time on Friday afternoon with their friends from 4G. They shared games on how to be a good friend, read books and explored magnets. Have a little look at what they got up to! Please find below the NSPCC share aware guide for parents and a link to Parent Zone. Here you will find some superb advice on how to keep your children safe online. Welcome to our Personal, Social and Health page (PSHE). Here you will find the frameworks which we follow within school and up to date links and information. In PSHE we follow the Lancashire 'Live well, learn well' scheme combined with the PSHE Associations framework.